Venture into the magical and mysterious lands along the coast of the Norwegian Sea for close encounters with glaciers and gorgeous fjordscapes. Perfect for explorers long on ambition but short on time, this 11 day expedition brings you to important sites of Norway’s ancient history, UNESCO-protected historic sites, and some of the most incredible nature you’ll ever see. The journey is short, but the memories will last you the rest of your life. Welcome to Tromsø, the capital of northern Norway, known as the "Gateway to the Arctic". Embark in the afternoon. Consider arriving early to explore Tromsø. There will be a welcome desk set up to greet passengers on arrival day between 09:00 and 12:00 at the Clarion Hotel the Edge. We can assist with baggage drop-off and provide information on what to do in Tromsø for the morning. Please make sure to be at the Clarion Hotel the Edge before 13:00 as luggage will be transferred at that time. 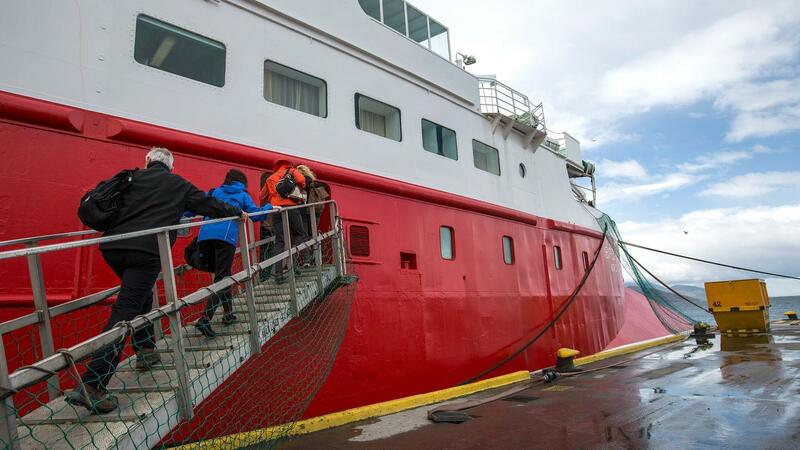 Passengers will be transferred as a group to the ship at 16:00. Begin your adventure today. There are no planned activities so feel free to explore or rest up for the excitement ahead. 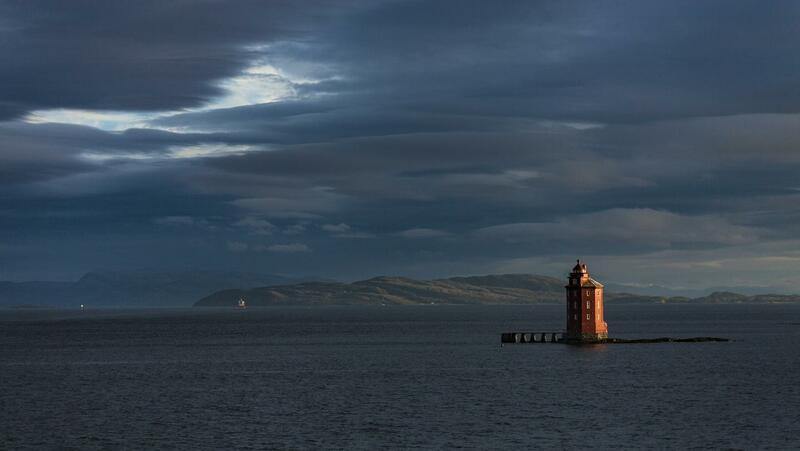 Explore one of the most northern points in Europe. A popular spot to watch the midnight sun during the summer months, as the sun never sets between the middle of May to late August, this cape is the location where the Atlantic and Arctic oceans meet. Explore the barren landscape, quaint fishing villages, and stop by the Northern Cape Plateau standing 307 m above the sea. Embark on a day trip to one of the most northern places in Europe, Nordkapp (North Cape). Travel across the arctic terrain of northern Norway, keeping a sharp eye for wild reindeer en route. Learn about the local Sami people en route to North Cape. Enjoy time visiting the North Cape Visitor Centre, opt to watch a film about Lapland's breathtaking scenery, or simply take in the views of the Arctic Ocean from viewpoints of up to 1000 feet above sea level. Enjoy a day at sea, taking in the stunning scenery of the Arctic. Keep a sharp eye while on deck to try and spot marine wildlife. Spend the early morning at the short, yet dramatic Trollfjord. Try to spot the mythical creatures along the cliffs. Head ashore in Svolvaer to explore the Lofoten Islands by coach. Stop in Henningsvær for time to see local art or explore the quaint fishing village. After, visit Nusfjord, one of Norway's oldest and best-preserved fishing villages for lunch at a local restaurant, before visiting the Tørrfiskmuseum to learn about traditional work of the islands. End the day in the town of Å. Enjoy a coach tour across the Lofoten Islands visiting the Tørrfiskmuseum (Stockfish Museum) and Svolvær. Stop for photos and other visits along the way including the Viking Museum at Bøstad. Visit Svartisen, Lovund and Vikingen, for beautiful glaciers and a globe sculpture which marks Vikingen as a point directly on the Arctic Circle. Visit Svartisen, Norway’s second-largest glacier. 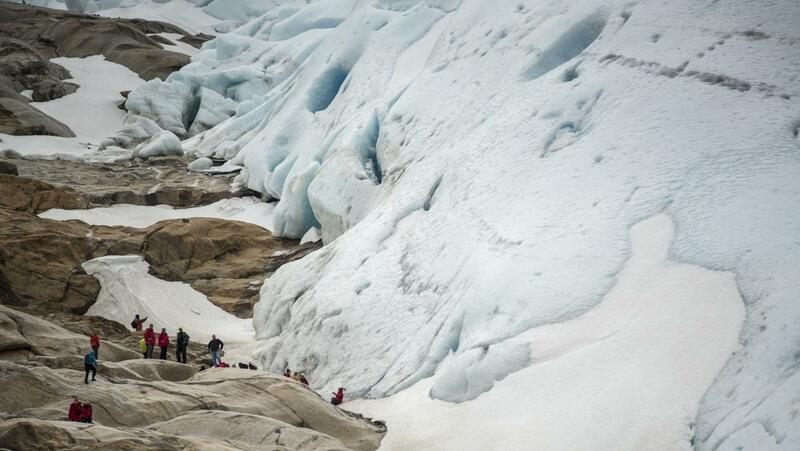 Hike to one of the outlet glaciers of Svartisen, Engabreen, which ends at the lowest point of any glacier on the European mainland, at 20 meters above sea level (in 2007). The first 30 to 45 minutes of the hike are easy with no incline. The remaining hike is guided in small groups as it can be a challenging and complicated maze of rocky outcroppings leading to a close encounter with the ice. Everyone should reach a beautiful lookout over the lake. Opt to visit the café for waffles and coffee. Visit Vikingen Island, a small island that sits directly on the Arctic Circle. There’s a small statue of a globe on the island celebrating its position on one of the five major latitude circles. A UNESCO World Heritage site, Vega is known for picturesque fishing villages with a history of eider down harvesting. Enjoy some opportunities to explore the area on foot or with an optional guided tour. Vega is a small island in Norway's Nordland, filled with tiny, picturesque fishing villages. Wander through the UNESCO World Heritage site with a history of eider down harvesting. The rugged coastline of central Norway features some of the world’s most beautiful scenery. The captain will negotiate with local Norwegian pilots to determine our best Zodiac landing options. The mountain scenery and coastline offer breathtaking views. The goal is to visit Torghatten, one of the most bizarre rock formations in Norway and a significant local landmark for the chance to move towards the Træna archipelago, comprised of over a thousand islands. Enjoy a Zodiac excursion to Torghatten and the Treana archipelago. The Captain will negotiate with local Norwegian pilots to determine the best Zodiac shore landing options. 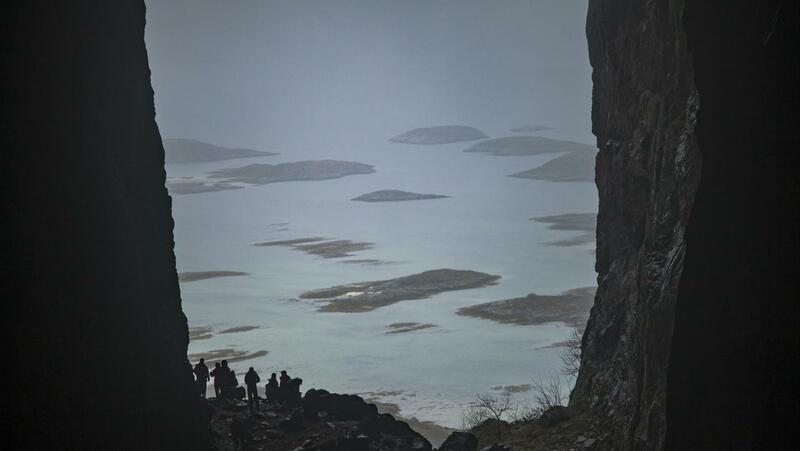 Our goal is to visit Torghatten, one of the most bizarre rock formations in Norway and a significant local landmark. We will also try to move towards the Treana archipelago that is comprised of over 1000 islands. 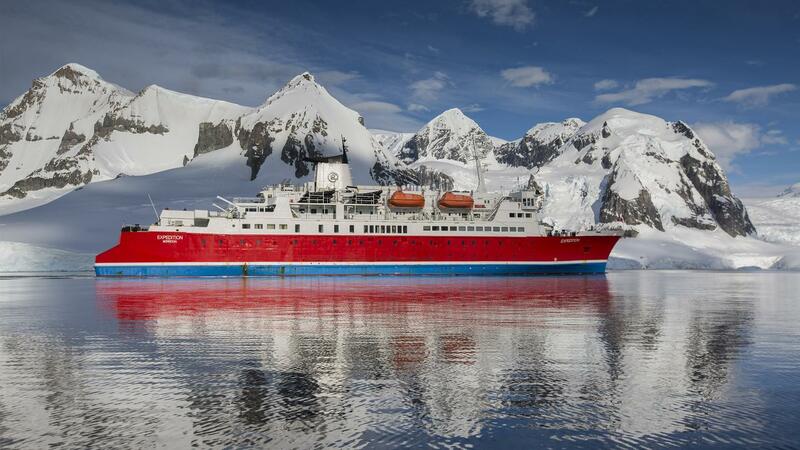 Expedition guides will provide information on the local areas, and the ship's photography expert will be on hand to offer advice on how to capture the perfect shot. 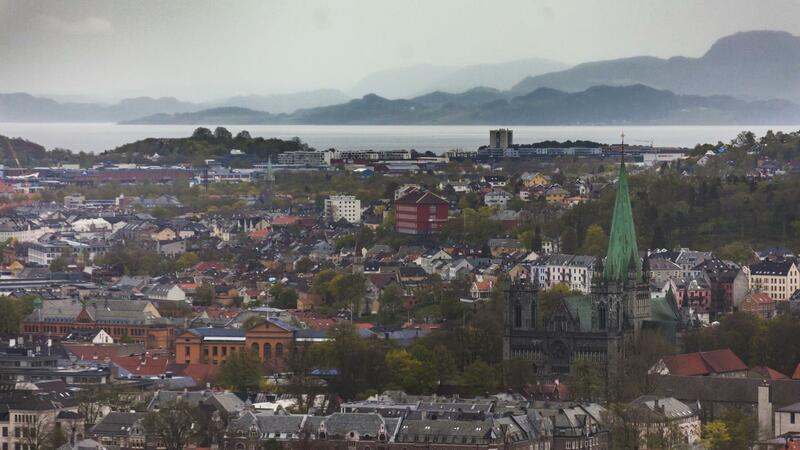 Trondheim is a modern city surrounded by beautiful forests and mountains, and is home to the remarkable Nidaros Cathedral. Built over the burial site of Saint Olav, the king of Norway in the 11th century, Nidaos Cathedral is the traditional location for the consecration of the King of Norway. 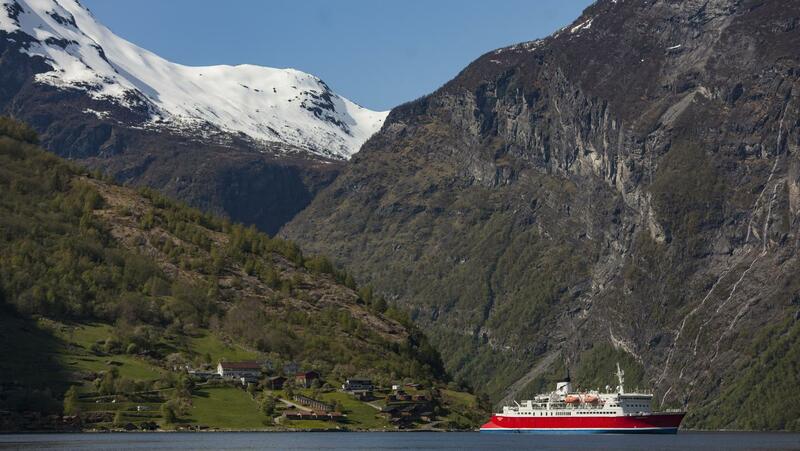 Sail deep into one of Norway's most beautiful, and most visited fjords, Geirangerfjord. Enjoy a coach tour to Dalnibba, soaking in the views at this UNESCO World Heritage site. For the more adventurous, opt for a 10km mountain hike exploring the area and taking in amazing views of the fjord from above. If possible, the Expedition ship will cruise around this scenic area. The fjord is one of Norway's most visited tourist sites and has been listed as a UNESCO World Heritage Site. 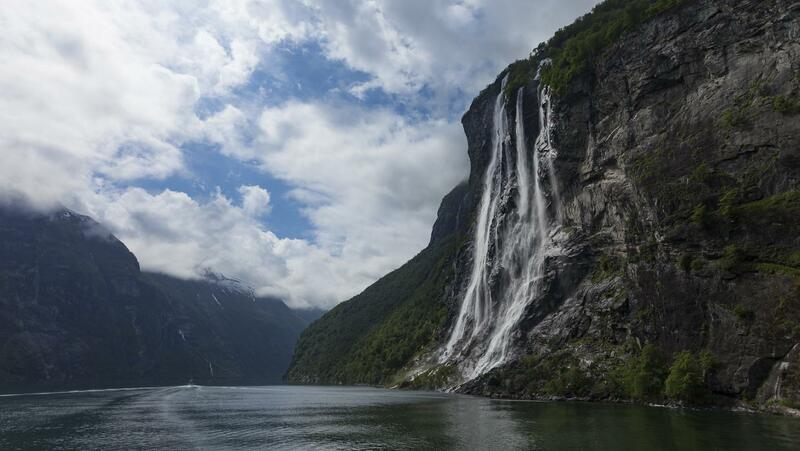 The fjord is 15 km (9.3 mi) long, surrounded by spectacular mountains, lush green trees, waterfalls, and several farms. Have a camera ready for some spectacular photo opportunities. The Flåm Line is a 20km (12.4 mi) route between Myrdal and Flåm. The line is used most often as a tourist train as it passes through gorgeous landscapes. It also boasts an incredibly steep gradient, with an elevation different of 863m (2,831 ft). Cruise overnight to Bergen, then disembark the G Expedition in the morning. 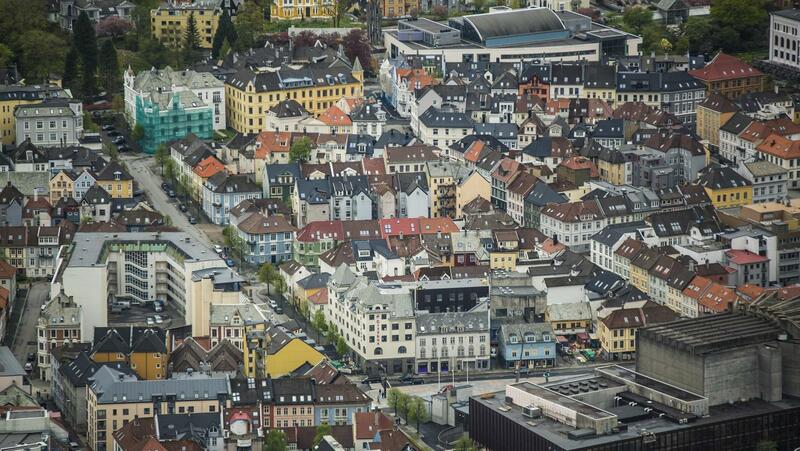 It's highly recommended to book extra time to visit this exciting city. Transfers to the end hotel (noted on your tour voucher) or Bergen Airport will be offered to all passengers with flights scheduled after disembarkation. After disembarkation you will be transferred to either the airport or the end hotel stated on your tour voucher, depending on the time of your flight. Those transferred to the hotel will have an opportunity to explore the town centre on their own, and then be transferred to the airport later in the day as per flight schedules. Transfer times will be confirmed, and communicated onboard prior to departure. Luggage storage at the end hotel will be available until time of departure. 10 nts aboard the G Expedition. Meeting point to ship transfer. Zodiac and land excursions with our expert expedition team. Lectures and educational programs. Local village visit (Lofoten Islands). Vega Island visit. Trondheim excursion. Geirangerfjord visit. Flåm Railway excursion. Finnmark exploration. Waterproof boots supplied for USA sizes 6 - 16. Expedition parka. 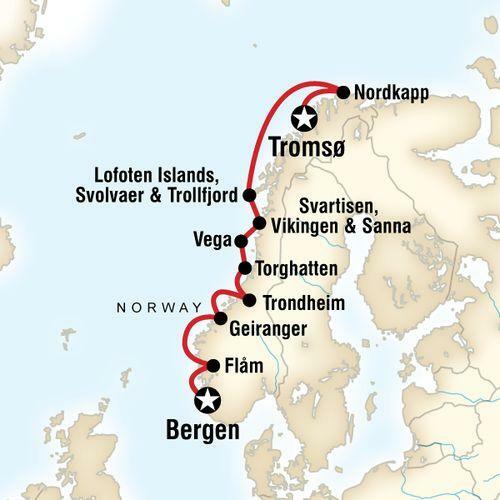 Cruise through some of Norway's most famous fjords, Wander through fishing villages and appreciate the slow pace of life, Search cliffs for trolls, Enjoy some of the world's most beautiful scenery along Norway's rugged coastline. The electricity onboard is 220AC electrical outlets, with European 2 pin round holes, as well as 110-volt shaving sockets in the bathroom for electric razors only. You may wish to bring an international adapter. A limited supply of electrical adapters are available to borrow free of charge at the Purser's Desk. Join us at the Clarion Hotel the Edge hotel, a taxi from the hotel to the airport will cost approximately 180 NOK. Note: The above Norwegian prices are not fixed, and are based on current prices and all taxies in Norway drive by taximeter, and the prices may increase/decrease according to traffic and time of day (additional costs apply during early morning, weekends, evenings and public holidays) so please include “approximately” before each quote. 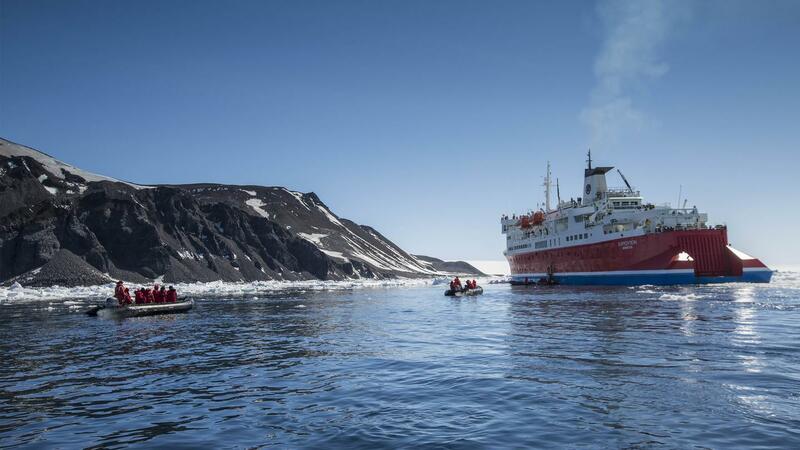 In the world's most remote destinations that we travel to on the G Expedition, we cannot offload our plastics, glass or tin waste for recycling. Therefore, we try to reduce what single use items we use. You will see on the ship that every effort is being made to stop the use of single use plastic containers, bags and other items. In an effort to prevent plastic waste from entering the waste stream, we are asking for your help. We offer exceptional drinking water on the ship with refilling stations for your reusable water containers. You will be provided a complimentary water bottle to fill up as needed. Plastic items such as single use shampoo/conditioner plastic containers cannot be recycled, so please plan to bring any plastics back to your home countries for recycling. Please do not bring single use items that you intend to leave behind such plastic bags and throw away razors. Your participation in helping to prevent pollution and promote recycling is greatly appreciated. Note: It is recommended to bring hiking poles for excursions on this itinerary. Credit cards and debit cards are very useful for cash advances. Visa cards are the most widely accepted cards. While ATMs are widely available, there are no guarantees that your credit or debit cards will actually work overseas. Check with your bank. You should be aware that to purchase products or services on a credit card a fee of 5%-10% usually applies. Do not rely on credit or debit cards as your only source of money. A combination of US dollars or Euros cash and cards is best. Always take more rather than less, as you don't want to spoil the trip by constantly feeling short of funds. Cash and most major credit cards (VISA, Mastercard and American Express) are accepted to clear incidental bills at the end of the cruise by the ship's Purser (eg: bar bills, laundry etc). Although it may not be customary to you, tipping is of considerable significance to the people who will take care of you during your travels. It is an expression of satisfaction with the persons who have assisted you on your expedition. The industry standard and suggested amount is USD 10 - 15 per person per day spent on board. Of course, tipping is a personal choice and the suggested amount is set only as a guideline. The money is collected by the Hotel Manager at the end of the voyage and distributed amongst the crew and Expedition Staff.